Nice! 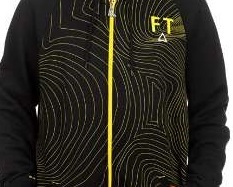 A full zip hoodie with the Full Tilt Ski Boot Company logo, and is this thing comfortable. Imagine the questions, " What the heck is Full Tilt?" That's my ski boot company man.